One of the things I love to do is reading. Reading a something that goes beyond “this is information” and into “there is more to this” often ends up in my collection. It can be a theoretical work, an essay, a series of short stories and a novel. Through the years these three novels have been so memorable for me that I had to have them in my collection. In the following paragraphs I shall explain the why I highly appreciate these books. Each author is British and unique. Their works share complementing and still relevant topics. Also in the context of the 4th and 5th of May novels about utopia and dystopia are a relevant theme. 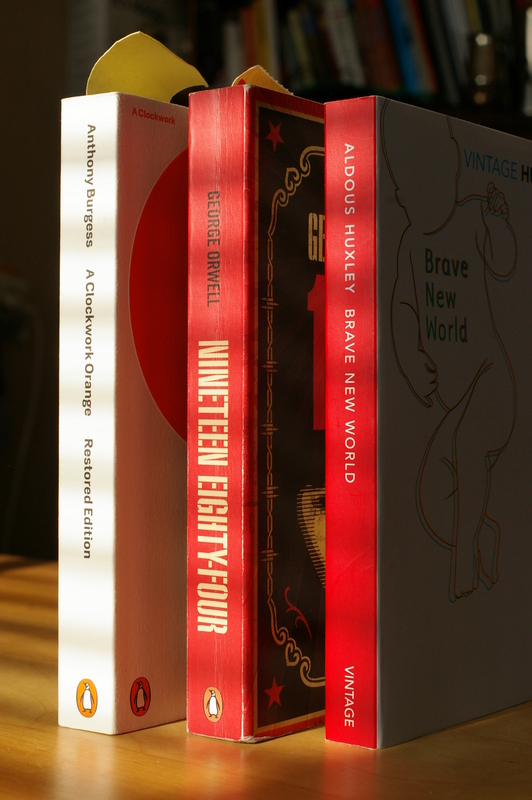 This article was planned for April but getting started on these novels is not easy. These are the kind of books I tend to reread in years to come. I consider “1984” as one of the scariest books I have ever read. Societies that can make you, break you and make you without you having any choice frighten me. “1984” goes beyond though. Aldous Huxley is not as popular as Orwell. Maybe because his story telling was not grabbing your initial attention. Maybe his addressing of technology and science as threats for society with a sense of satire was not always appreciated. Huxley started writing in his younger years and his first work was published in 1921. In 1932 “Brave New World” was published. Born in 1894 Huxley came from a time in which the world was changing. He died in 1963 and as a critical intellectual he was known for his sometimes pessimistic opinions. 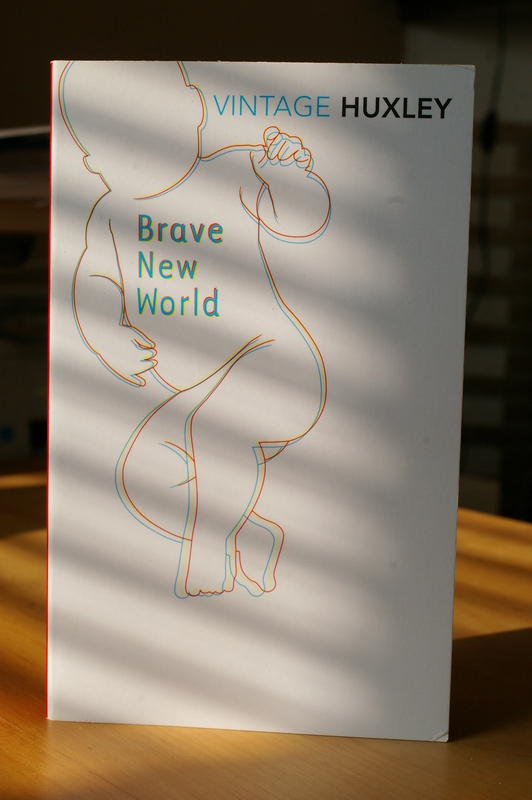 The novel “A Brave New World” is about a future society ruled by technocrats who divide people from inception to birth in social classes with particular capabilities. The state controls the mind of its citizens by direct mental programming after birth and happiness is achieved by ingestion of a happiness pill, the soma. Some people refer to this work as a nightmare vision and it can read as one. This work is also a thorough critique on progressive movements who claim science and technology can solve all of humanities problems. If a nightmare is to warn you and wake up the sceptic, I prefer the nightmare over sugar-coated lies that advertisers and governments tend to feed the public. This novel reminds me of H.G. Wells‘ “The Time Machine” from 1895. George Orwell is the author immortalised in the adjective “orwellian” and for good reason. Born in 1903 he lived in the same time as Huxley. He and Huxley crossed paths. Orwell’s real name was Eric Arthur Blair. Orwell passed away in 1950. “1984” was his last published novel from 1949. Orwell also witnessed the changes in the world after 1900, be it that he grew up in the Bengal region in India. After 1927 Orwell denounced the imperial rule of the British empire and this decision shaped his future works. Orwell came from a poor family and detested the complacent nature of upper middle class life. Class is still a social issue in the U.K. to this day. Income and property still influence one’s position in society. Do not let political “newspeak” distract you from reality. Gentrification these days highlights the burden of those with low incomes and no property. 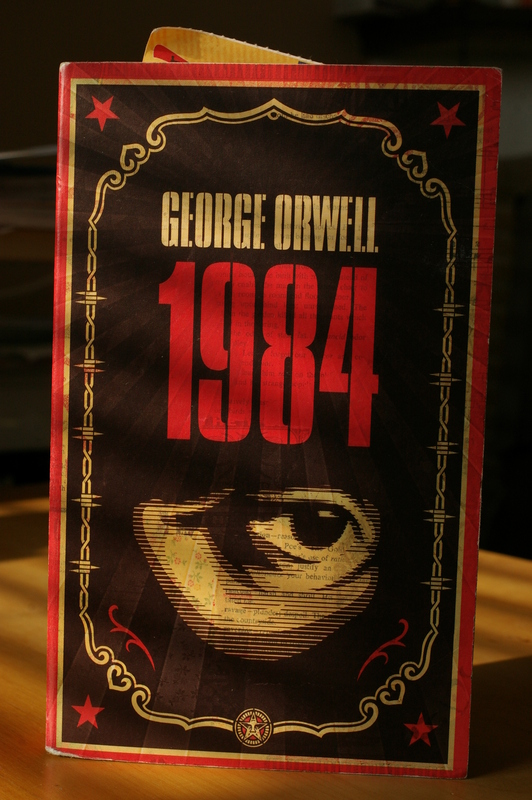 The novel “1984” was and is meant as a critique on totalitarian government and society. The individual is made by society and freedom of choice is limited to what the government has predetermined. “Big brother” is the metaphor for state control and repression. State controlled society determines what the individual is, does and enjoys through propaganda and social control in absence to privacy. Orwell’s sombre vision of this anti-individual dystopia in which citizenship is merely more than being a slave to the government is called “orwellian.” In the end the main character is an obedient citizen again. After brutal treatment he is citizen again as if nothing happened. The story of this work still frightens me. In a time where governments and intelligence agencies can trample over individuals there is much to critical off. Anthony Burgess‘ work is also known for its film adaptation by Stanley Kubrick. His real name was John Anthony Burgess Wilson. I have read this book at least two times and it still fascinates me. Anthony Burgess was born in 1917 and died in 1993. In a world after World War I he was exposed to a changing world that faced many dilemmas. His works tend to address modern dilemmas in particular. 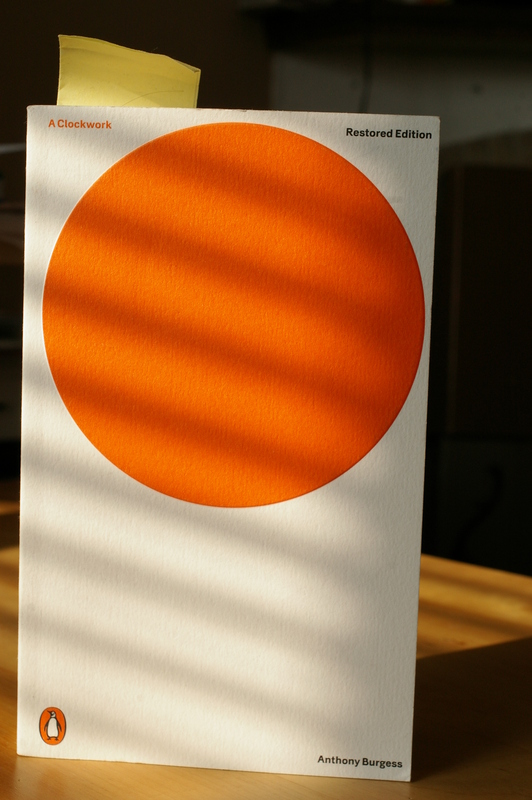 The work “A Clockwork Orange” was published in 1962, a decade of radical changes. My edition of the book is the restored edition. The ending is different and I personally recommend the restored edition to really grasp what the story is about. Like the other books this work addresses a dystopia in which a main character makes choices that affect his entire life. Here the main character is teenager Alex who is a petty criminal. After another crime Alex is caught and undergoes a treatment that is supposed to make him a good member of society. Huxley addressed technocratic rule, Orwell criticised totalitarianism and Burgess goes a step further. Burgess directly describes indoctrination and brainwashing as a measure against violent behaviour. The dilemma of violence against violence from physical to mental is a central theme in this work and through the account of Alex contradictions pile up. Violence in society is a complex topic. There is much more to say and write about these authors and their works. Over time I will explore more of their works. I kept my descriptions of the authors short as each author is genuinely interesting enough to dedicate a paper to. They also wrote short stories and essays. There is much to discover in their other works. The links are in the paragraphs. One thing I have not mentioned yet is something peculiar. I each novel love and relationships play a subtle and important role by their absence. In “A Brave New World” love does not exist. Relationships are loose, purely sexual and monogamy is unacceptable. In “1984” marriage exists but is without affection or passion. Real affection and passion are an undermining factor for society. In “A Clockwork Orange” Alex thinks of love and relationships as “the old in and out.” Life is an obligatory routine without excitement and therefore he turns to criminal and violent existence. Even his parents cannot reach Alex. Only when he makes up his mind after years of criminality, treatment and seeing his old friends again he chooses to change. Posted in Books & Music and tagged 1932, 1949, 1962, 1984, A Clockwork Orange, A Clockwork Orange Restored Edition, Aldous Huxley, anti-individual, Athony Burgess, authors, Big Brother, books, brainwashing, Brave New World, class, context, dystopia, Eric Arthur Blair, George Orwell, H.G. Wells, indoctrination, John Anthony Burgess Wilson, love, mental programming, modern dilemmas, newspeak, novels, orwellian, reading, relationships, science, society, soma, Stanley Kubrick, state, technocrats, technology, theme, think for yourself, topics, totalitarian government, Utopia, violence in society, violence versus violence, why? on May 6, 2015 by rura88.